As part of your child’s medical care at CHOC Children’s Hospital, he or she might need to undergo an imaging study or scan to diagnose the presence or absence of disease. Some of these imaging tests use radiation such as X-rays, nuclear medicine studies or CT scans. You may be concerned about the potential risks from radiation exposure in imaging tests. CHOC takes radiation exposure from diagnostic imaging very seriously, and we go to great lengths to ensure that tests performed on your child use the lowest possible radiation exposure to patients and families. While studies suggest that there is a very small risk over one’s lifetime associated with large exposures to radiation, no study has shown a measurable risk from the small amounts used in a single diagnostic imaging examination. If done using pediatric safety guidelines, the benefit to your child will greatly outweigh the risk of being exposed to a small amount of radiation. Years of experience and research have shown that it is not necessary to use adult-sized doses of radiation to obtain high-quality images in children. That’s why we calibrate all of our pediatric imaging equipment for kids and use protocols that minimize your child’s exposure. CHOC Children’s is the only imaging facility in Orange County just for children, and we use up to 50 percent less radiation than adult imaging facilities. We are dedicated to using the lowest levels of radiation necessary without compromising image quality to make a correct diagnosis, and we routinely meet or exceed national radiation safety recommendations. 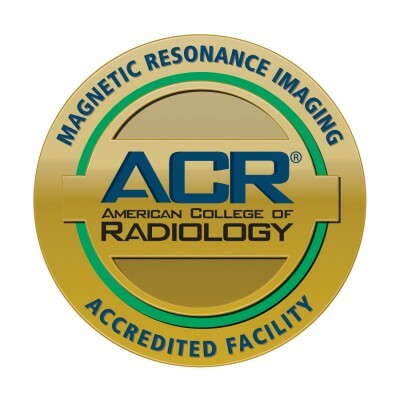 We are accredited by the American College of Radiology for MRI, CT and ultrasound, which ensures the highest standard of image quality, ongoing oversight by a medical physicist and proper monitoring of radiation exposure. When you see the ACR seal you can rest assured that your treatment will be done at a facility that meets the highest level of quality and radiation safety. All of our radiology team have also voluntarily gone through a rigorous review process through the ACR to be sure our radiology team meets and exceeds nationally-accepted standards. We follow Image Gently national guidelines to reduce radiation dose during pediatric medical imaging exams. We know that imaging procedures can be lifesaving for children who are sick or injured, but children are more sensitive than adults to the radiation these procedures deliver. Our CT scanners deliver extremely low dose radiation with scanners that are so fast, repeat scans are rarely needed. In fact, other hospitals have begun transporting newborns to CHOC for imaging because of these capabilities. CHOC has reduced radiation by up to 90 percent on fluoroscopic procedures by using pulse dose technique and image capture compared to the more commonly used continuous fluoroscopy and full image acquisition. Diagnostic examinations that do not involve ionizing radiation, like ultrasound or MRI, are substituted for examinations using ionizing radiation, when appropriate. In addition, steps are taken to reduce the need for multiple studies involving radiation. All of our radiography equipment, including plain X-ray and computed tomography (CT) units, is state-of-the-art and specially designed or adapted for pediatric use. Our staff knows that when infants, children and teens feel safe and comfortable, imaging tests can be done faster with less chance of repeat exams. That’s why we have dedicated radiology child life specialists who take the time needed for each child to feel at ease. The American College of Radiology (ACR) awards accreditation to facilities for the achievement of high practice standards after a peer-review evaluation of its practice. Image quality and procedure evaluations are conducted by board-certified radiologists and medical physicists who are experts in the field. The program also evaluates personnel qualifications, facility equipment, quality control procedures and quality assurance programs. Your hospital, clinic or health center has voluntarily gone through a rigorous review process to be sure it meets nationally accepted standards. CHOC Children’s is a proud supporter of the Image Gently® campaign. The campaign was launched in 2008 to raise awareness about methods to reduce radiation dose during pediatric medical imaging exams. The Image Gently group provides information about safe pediatric imaging examinations for radiologic technologists, medical physicists, radiologists, pediatricians and parents. The campaign is an initiative of the Alliance for Radiation Safety in Pediatric Imaging, a coalition founded by the Society for Pediatric Radiology, the American Society of Radiologic Technologists, the American College of Radiology and the American Association of Physicists in Medicine.